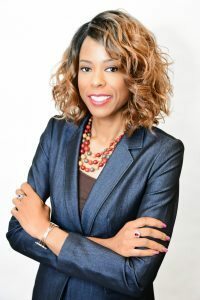 Teri D. Fields is a plaintiff’s attorney and litigator. Over her legal career, she has litigated hundreds of cases. Teri regularly conducts written and oral discovery, including drafting interrogatories, requests for production of documents, and admissions, as well as preparing witnesses for deposition, and filing motions to dismiss and motions for summary judgment. She has a broad-based practice including, general civil litigation, employment law, estate planning, probate litigation, personal injury, premises liability, Social Security Disability and Veterans Administration disability appeals. Teri is a Certified Veteran’s Administration Attorney as well as a trained Mediator and Arbitrator. Teri was previously a litigator with large and boutique law firms in Atlanta as well as Birmingham, Alabama. She also practiced public interest law with the Georgia Department of Law. Prior to beginning her private practice, Teri served as law clerk for the Honorable Tamara O. Mitchell, Chief Judge of the United States Bankruptcy Court of the Northern District of Alabama Northern Division. She has served as an adjunct professor at Clayton State University. Teri is also the author of a book titled Resource Guide For Administering An Estate In Georgia. Alabama District Courts, Northern and Middle; Eleventh Circuit of the United States Courts of Appeal.